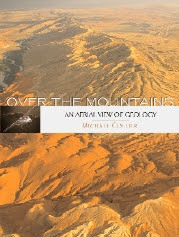 Collier's latest book (#13) is Over the Mountains, An Aerial View of Geology (Mikaya Press), described as "the first in a new series of picture books focused on the evolution of landscapes." He also has an exhibit of 45 photographs, entitled Stones from the Sky, that will be shown at the AAAS headquarters in Washington, D.C., running from June 7 to Sept. 14, 2007. Among many other awards, Collier is the 2006 recipient of AGI’s Outstanding Contribution to Public Understanding of Earth Sciences award. A lawsuit filed against the federal government by four trade associations could prohibit geologists, geographers, and many other professionals from making maps using federal funds, according to the American Association of Geographers (http://www.aag.org/help/links.html). My reading of this section of the complaint seems to make it clear that geologists would be prohibited from using Federal funds for almost everything we do, unless we work under the direction of a licensed engineer or surveyor. People following this lawsuit say we can expect a ruling from the judge at any time. Most of EarthScope seismic stations installed in Arizona: can we make some permanent? seismic stations are installed in Arizona at present. A map of the stations was published in "Arizona Geology" last year (http://www.azgs.az.gov/Spring_06.pdf). funds to pay for replacement stations as the Array moves eastward. The FBI investigation into a land deal involving Arizona Congressman Rick Renzi could affect the Resolution copper mine and water resources in the Upper San Pedro Basin, with further domino-like impacts. “Because of its closeness to the San Pedro and the amount of water the retired farmland once used, the Sandlin property is crucial to the river and, in turn, neighboring Fort Huachuca, which is under court order to cut water consumption in and around the river. Bill Hess of the Sierra Vista Herald/Review wrote yesterday that, “The land involved in the swap has been put back on the market. [emphasis added] Some believe that if it is sold to a developer or to an agricultural business, water will again be pumped to the detriment of the river and the partnership’s goal of finding ways to conserve water." The Herald reports that the water deficit in the Upper San Pedro Basin - the difference between what is being pumped from the aquifer and what is being recharged – is 10,800 acre-feet, instead of the previously measured 7,700 acre-feet, according to the U.S. Geological Survey. The higher number is due to better quality measurements. This double whammy will make it harder to meet the region's water goals. “North America's largest copper lode is believed to be buried more than a mile beneath Apache Leap, the stark red cliffs that loom above this storied Old West town about an hour east of Phoenix. Resolution Copper Co., a joint venture between Rio Tinto and BHP Billiton, wants to mine it. But first it needs Congress to approve a federal land exchange, under which Resolution would swap 5,000 acres of private land for 3,000 acres of public land near its planned mine. In exchange for supporting the bill, the local congressman, Rick Renzi, a Republican, insisted on something in return: He wanted Resolution to buy, as part of the land swap, a 480-acre alfalfa field near his hometown of Sierra Vista, according to documents and people involved in the deal. Resolution executives refused. For starters, they thought the land was overpriced, people close to the deal say. More troubling, they discovered it was owned by Mr. Renzi's former business partner, these people say. Scientists do a lousy job of communicating to non-scientists. That's one reason science and scientists are being effectively beaten up and demonized in a variety of public debates on issues like evolution and climate change. I refer you to a new website on communicating science - "Speaking Science 2.0" - www.scienceblogs.com/speakingscience/ put together by Matt Nisbet and Chris Mooney. Chris is Wash. DC correspondent for Seed magazine, author of "The Republican War on Science" and the about-to-be-released book "Storm World: Hurricanes, Politics, and the Battle over Global Warming." He blogs at www.scienceblogs.com/intersection. Matt is professor of communications at American University in Wash. DC and is widely recognized for his work on framing science messages (also the name of his blog - http://scienceblogs.com/framing-science/). They recently published op-ed pieces in Science and the Washington Post that attracted widespread national attention. They are starting a nationwide lecture tour today on this topic. "We do not see the world as it is. We see the world as we are." "It's not what you say, it's what people hear." knowledge to diverse groups of citizens. facts out there"--will be necessary to break through to the public. assumptions and focus on fresh ideas. into fraught political contexts, and bent and twisted in myriad ways. My colleague Vince Matthews, State Geologist of Colorado, is talking around the country about the demand for natural resources by China, India, and other growing economies, and how that is affecting the U.S. Vince shared his slides and graphs with me, noting that the impacts he sees for Colorado will be similar for Arizona. The bigger problem may be that Vince doesn’t see any obvious solutions to what he views as a pending crisis. What comes to mind immediately are the number of wars that have been fought over access to or control of natural resources. Are we destined for similar instabilities in coming years? The long-enduring debate over collecting fossils on federal lands is continuing. According to a report by the American Geological Institute's Government Affairs Program, Arizona’s Rep. Raul Grijalva raised concerns about unintended consequences during a recent hearing on the Paleontological Resources Preservation Act (HR 554) before the House Committee on Natural Resources, Subcommittee on National Parks, Forests and Public Lands, which he chairs. The bill was opposed Peter L. Larson, President of the Black Hills Institute of Geological Research, Inc, a commercial fossil company based in South Dakota. Larson argued that the bill would limit collecting to academics only and that amateurs and commercial companies unearth fossils that would otherwise be lost to weathering or never found by the scientific community. Larson also argued against allowing scientists and federal land managers to keep secret the locations of significant finds. · Should commercial collectors be allowed to take fossils from public lands and sell them to private collectors or should public fossils remain in public ownership for display and scientific study? · Does allowing amateurs to collect vertebrate fossils on public land create a “back-door” commercial channel? · Can we keep fossil locations on public lands secret in order to prevent looters from stealing the fossils and damaging or destroying the geologic context? · What fossils on public lands, if any, are appropriate for non-scientific collecting? Washington watchers say that HR 554 is unlikely to move forward without resolution of these long-standing differences.